"The LORD is near to all who call on him, to all who call on him in truth. He fulfills the desires of those who fear him; he hears their cry and saves them." September 9, Pastor Yousef Nadarkhani imprisoned on charges of apostasy and sentenced to death by an Iranian court, was released on 8 September, after serving 3 years imprisonment. According to reports, he was freed following a nearly 6-hour court appearance. It is reported that officials lowered his charges from apostasy to evangelizing Muslims, which carried a 3-year term. Pastor Yousef, a father of 2 sons, was therefore released with time served. Rimsha Masih, the 14 year old girl arrested on false charges of burning pages of the Quran, was also released after being held for more than 3 weeks at a high security jail in Rawalpindi, Pakistan. She was granted bail on 7 September, and subsequently released from prison on 8 September, 2012. 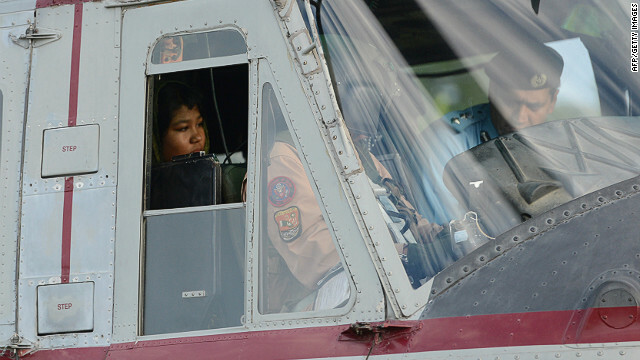 Following her release, Rimsha Masih was flown to a secret location for security purposes, where it is believed she will be reunited with her family. September 9, It is reported that on 6 September, Holy Trinity Pentecostal Church in Moscow, was demolished by unknown workers, backed by the police and civil volunteers. The church gained registration with the Soviet authorities in the late 1970s. However, the authorities evicted the church out of its first building in 1995. The replacement church building which was demolished, was built in 1995. Officials consistently refused to legalise the church building and prevented it from being linked to the water, electricity supply and sewerage. Holy Trinity's Pastor, Vasili Romanyuk and the congregation have long battled to save their church from confiscation and destruction. 11 September, It is reported that on 6 August, Uzbek police officials attacked a Christian lady and her differently-abled daughter at their home in Tashkent, Mirabad district. Reports state that 6 men with sticks and bats stormed the house of Valentina Pleshakova and when confronted, attacked her daughter, Natalya, knocking her off her crutches. The men then ransacked the house confiscating Bibles and prayer books. Subsequently the woman and her daughter were taken to a local police station where they were pressured to adopt Islam. They were released after being detained for 10 hours. On 7 August, Valentina Pleshakova and her daughter were fined an equivalent of around, 740 US dollars each, by the Mirabad District Court after being convicted for a range of offences including, "Illegal production, storage, or import into Uzbekistan with a purpose to distribute or distribution of religious materials by physical persons". On 23 August, the fines imposed were cancelled after church officials lodged an appeal on behalf of the victims. However, part of the decision given by the lower court was upheld by the Tashkent Criminal Court, stating that the Pleshakovas violated Religion Law.